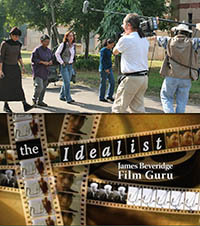 Produced by CineFocus Canada for TVOntario. Paul Hart edited a series of webisode “campaigns” about interesting characters and issues outside the main TV series. His favourite webisode was about Wangari Maathai. Green Heroes features the stories of corporate knights, public figures and everyday people who tell their transformative stories. Each episode profiles someone, who in a single moment, shifted his or her world-view and suddenly understood that something must be done to save the planet. Their inspirational stories of green epiphanies provides motivation for all of us to do what we can to preserve the natural world for future generations.